The Oregon Institute of Marine Biology approached us to create a simple website for them to send updates to while on various scientific expeditions around the world. 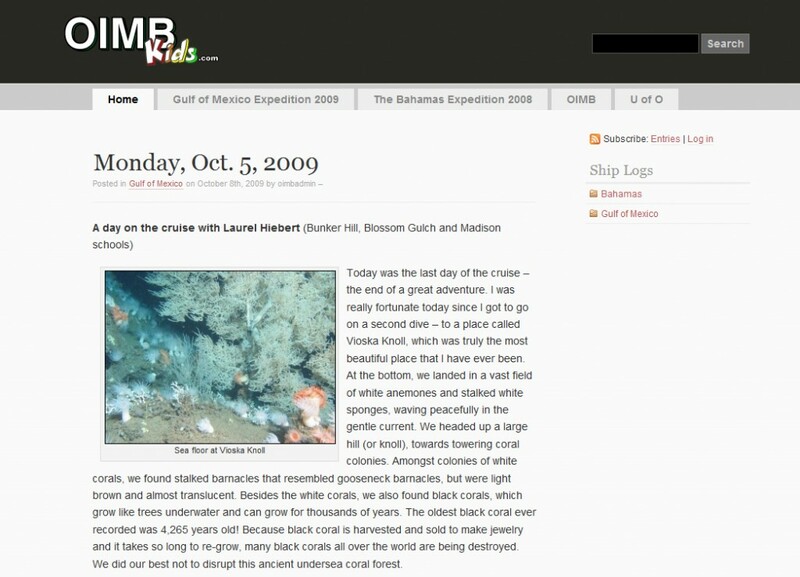 The content on this site was then aggregated to classrooms around the country where children followed and studied alongside the scientists as they researched undersea creatures. We also created a logo for them and taught the scientists how to update the site so that information could be posted quickly and on a regular basis.